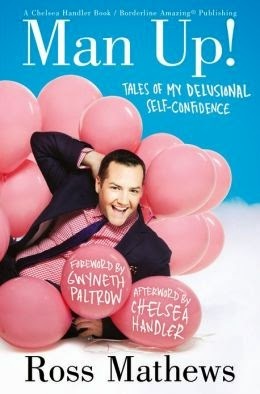 Ross Mathews, hardback edition, 216 pages, Grand Central Publishing. I didn't know too much of Ross Mathews, other than seeing him on The Tonight Show with Jay Leno. When I did see him, I found him to be hilarious and genuine. I vaguely knew he had been on The Chelsea Handler Show as well, but I only watched that occasionally. Anyways, the book is a great memoir. It had hilarious moments and honest (sad) moments. Even though he is proudly gay, he did have some relations with women. Along with all the humor, there are a couple of great messages to be learned. One is that a mother's love is unconditional and the best love there is. Not only do you want Ross as a bff, you want his mom as your adoptive mom! Another is that you don't need to change in order to succeed. Just buckle down and go for it! Ross Mathews now has his very own E! online show which airs Fridays nights. I have yet to catch it because I forget and my Friday nights are devoted to Hannibal (but I plan to watch it one of these days). There you go, dear reader! Read his book and watch him in action! Labels: book review, books, Man Up!